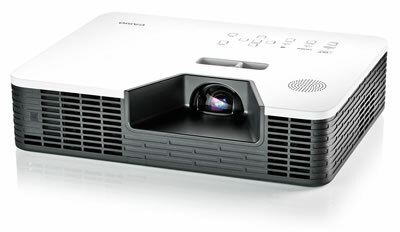 The new Casio projector includes a new Hypbrid technology providing a light source life of up to 20,000 hours, up to 10x longer than any other projector. The Casio Pro versions are ideal for Digital Signage, AV installations, Education and Training requirements. 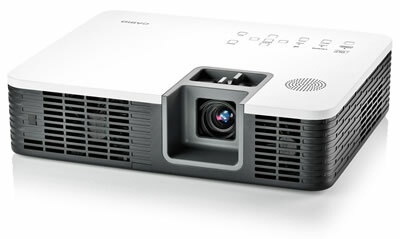 The features of these new Hybrid models reduces your overall Operating Expenditure over the life of the projector. The Casio Pro Projectors are available in a standard lens model with 3000, 3500 or 4000 ANSI Lumens and a short throw lens with 2500 or 3000 ANSI Lumens. Since Casio hybrid light source projectors are mercury-free, they present less of a hazard to recycling centers or landfills. But in addition, you can avoid mercury contamination caused by a broken mercury lamp and make your home, classroom and work environments safer too. One of the benefits of the hybrid light sources is an increased color gamut – these projectors will show about 50% more of the spectrum (compared to our previous mercury lamp projectors), for more accurate renditions, subtle shadings. Images appear brighter as well. 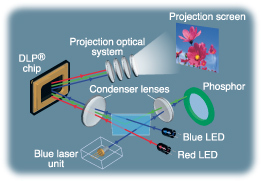 Compared with conventional high-brightness projectors employing mercury lamps, Casio's Hybrid Light Source technology reduces operating costs as well as the time and effort involved in lamp exchange while maintaining clear, high-quality images over an extended period. Your presentation will be as bright the 100th time you show it, as it was the first time. Casio's hybrid light source reduces brightness degradation dramatically. Unlike mercury lamp projectors, which lose half their brightness after 3,000 hours of use, Casio HLS keep showing your work in the best possible light. 20,000 Hour Lamp Life provides lower cost of ownership. Standard Lens and Short-Throw Lens Option. Consistent brightness for a longer period of time compared to standard lamps. Component: Also serves as RGB mini D-Sub 15 pin. *4 A wireless module that attaches to the USB terminal on the rear of the projector body is supplied. *6 Metal ceiling-mount fittings required; installation work charged separately. *7 Accessory software provided on CD-ROM is compatible with Windows® 7 (32/64 bit), Windows Vista® (32/64 bit) and Windows® XP SP3.